GeoServices has more than 20 years experience in mitigation, cleanup, and closure of contaminated sites. We are proud to apply this experience to problems related to development of Marcellus shale gas supplies and have developed innovative approaches to problems unique to the extraction industry. Review and prepare sampling programs and sampling plans. Prepare conceptual models and select sampling locations and parameters for testing. Collect ground water, surface water, soil gas, and vapor intrusion samples. Geochemical evaluation to identify similarities and differences between water samples that go beyond simple comparison of numeric results. Statistical evaluation of trends and data correlation. Database management and GIS mapping, including spatial and temporal evaluation of data. 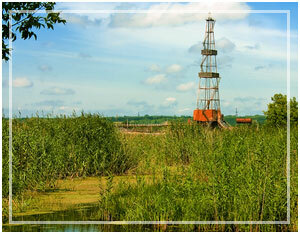 Develop testing parameters and field protocols and sample wells. Develop and conduct homeowner questionnaire and interviews. Evaluate existing well construction, water level, and yield. Conduct screening and investigation for stray gas and vapor intrusion. 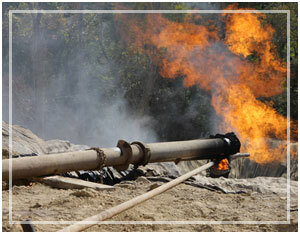 Measure combustible gas concentrations at wells and surrounding features and collect samples. 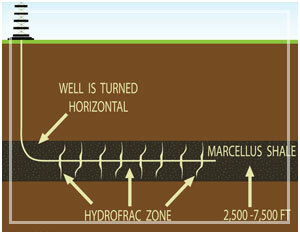 Install ground water monitoring wells for pad site infrastructure. Complete periodic sampling of ground water for release detection. Drilling for natural gas in the Marcellus Shale presents challenges, particularly in Pennsylvania. Reports of impacts to local wells as a result of natural gas drilling have recently made headlines across the area and new regulations are being promulgated to limit potential impacts from drilling. For example, identification of the depth of the deepest fresh ground water is now (or soon will be) required. As no maps of these data are currently available, site-specific information must be developed. GeoServices’ experienced personnel can identify conditions which may impact drilling or the environment surrounding the drilling site to reduce impactS.